Tonight’s meeting is the second of the Small Print competitions this year. The competition included sections for both Beginners and Advanced Photographers. Each member has to select the best 5 images from each section. 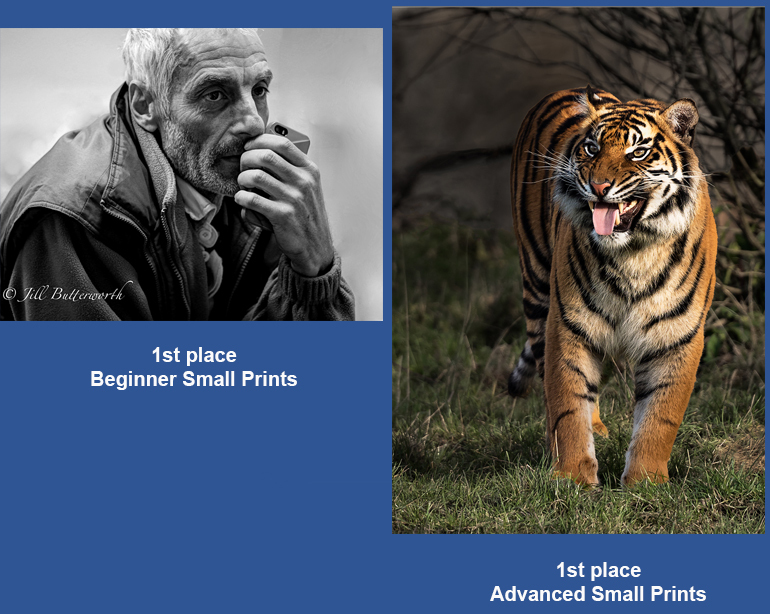 As the title of the competition suggests - all entries are prints, surface mounted on a board with no print being larger than A4 in size. This allows any member who would not normally submit prints an opportunity to submit images in this medium as no special equipment is needed. Any standard colour printer would be able to produce the prints needed. The artistic standard was indeed very high across both sections and it was plain to see a lot of members were struggling in making their top five selections.